Another example of our high standard of work in Banstead. 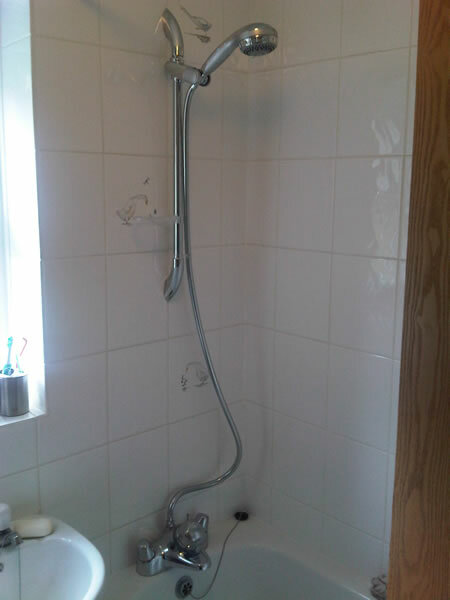 A complete refurbishment of a downstairs shower room including a close coupled back to the wall toilet and basin with chrome waste, with all waste and pipe work hidden in the walls. 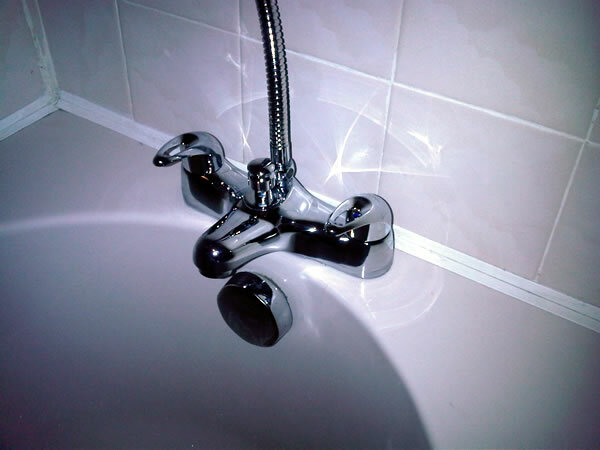 Aqualisa thermostatic bath & shower mixer installed in North Holmwood (Dorking), to go with the customer's brand new combination boiler that was installed by us. 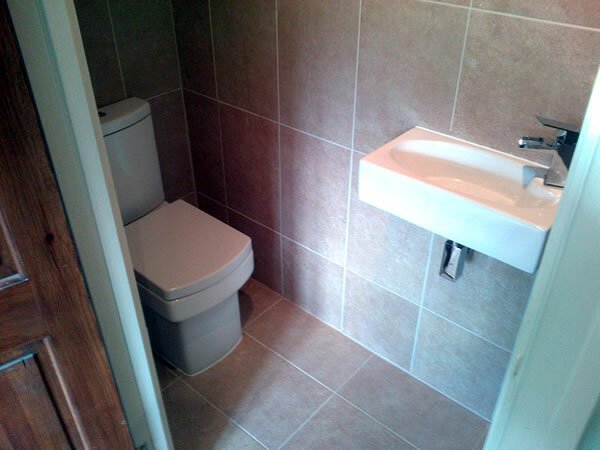 New bathroom suite installed in Epsom with all new plumbing and hot water cylinder. Fantastic performance and looks stunning, the Aqualisa Aquastream is an electric gravity fed thermostatically controlled shower. It replaced the old one leaving no making good to do. One very happy Dorking Landlord and tenant. 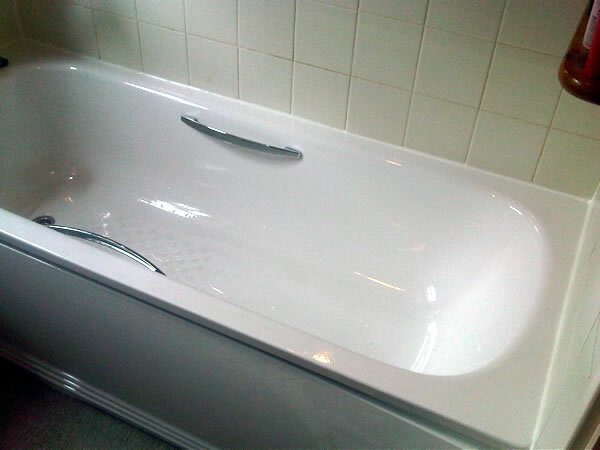 Replacement bath as the old fibreglass bath had cracked and was leaking. 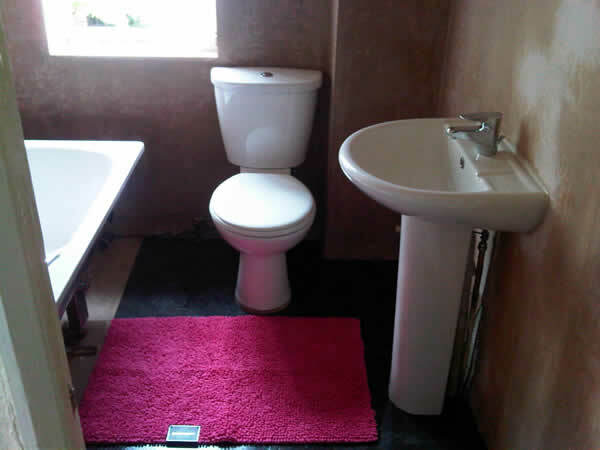 It has completely transformed the bathroom and the North Holmwood customer was extremely happy how neat and tidily it was installed, with little disruption and mess. 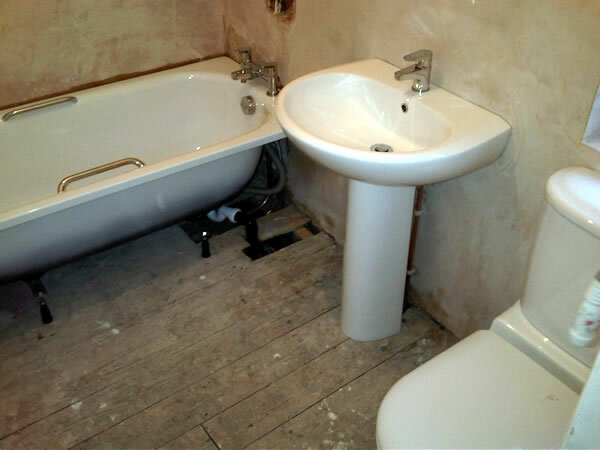 This Morden bathroom was in desperate need of modernisation. 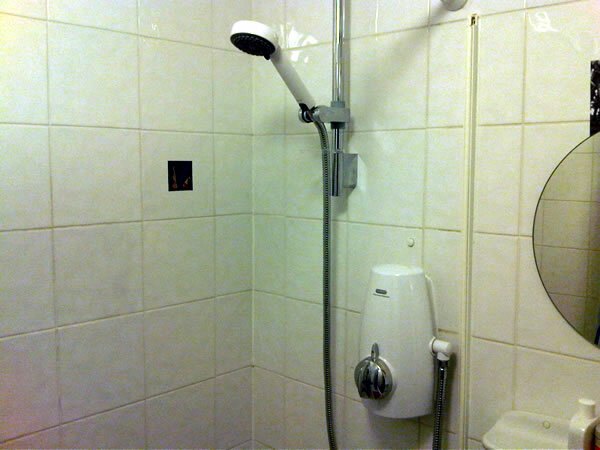 The room was completelystripped and then re-plastered. 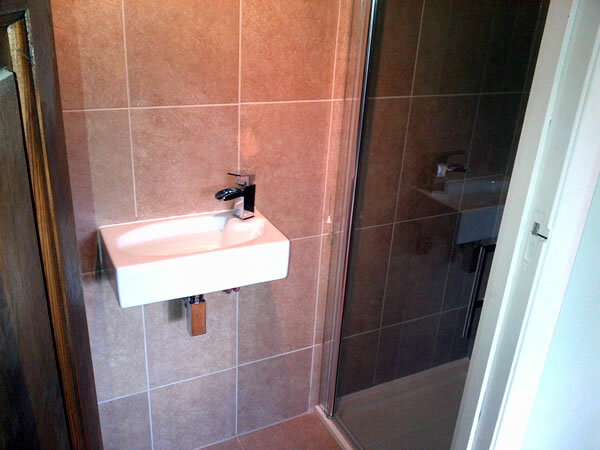 The bathroom suite was then installed and working within a few days with just a lick of paint and some tiles to come. 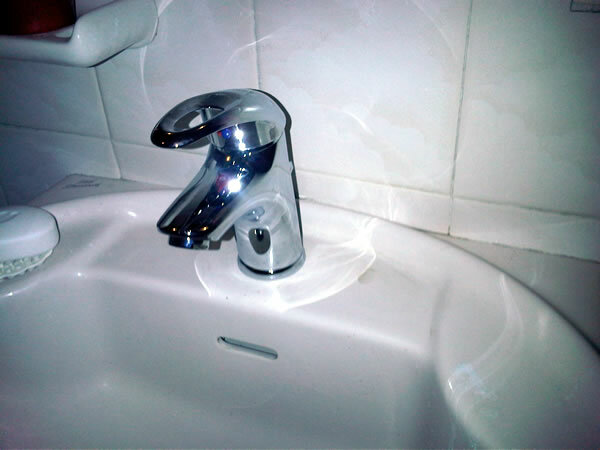 At the beginning of the year Mint Heating and Plumbing got called to a job in Wimbledon to replace some mixer taps in a bathroom. After popping out and pricing up some taps for the customer they later decided to go ahead with the work and were very happy with the matching set of Bristan taps with an adjustable shower rail for the bath. 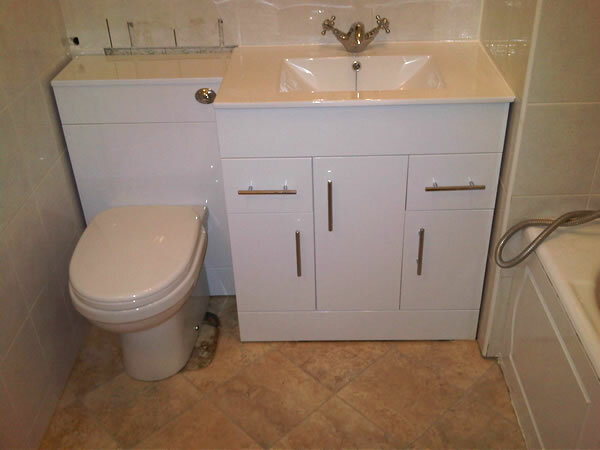 Nice vanity unit with hidden wastes & toilet cistern, our regular Epsom customer asked us to fit this which made a huge improvement to the very dated existing bathroom suite.